With the popularity of mobile devices, SMS marketing continues to gain traction in the digital marketing sphere. And experts predict the growth of text message marketing will continue for at least the greater portion of the next decade. In 2015, the global market spend from SMS marketing was US$57.27bn. The estimated growth is forecast to reach US$83.03 bn by 2024. There can only be one reason for this tidal wave: text message marketing works. But we know from the past that technology does not stay constant for long. Mobile technology evolves very quickly. So how will SMS marketing change in future years. At the moment, text message marketing is relatively straight-forward. The limited space dictates that messaging is succinct and to the point. But as mobile marketing becomes more commonplace, marketers will have no option other than to crank up the creativity. It is already possible to add images, videos and calendars to text messages. As marketers fight for attention to engage customers, we can expect to see more firms utilising functions already built-in to smartphones. And who know what else mobile technology will invent. Although it is already possible to pull metrics from mobile marketing campaigns to assess ROI, performance metrics will become more important to firms as the medium becomes more popular. We don’t wish to be negative, but we want to be realistic. With more businesses using SMS marketing to reach customers, mobile owners will become less responsive to SMS marketing ads. At the moment, around 98% of text messages are opened within 15 minutes. That means that very few are being deleted. The open rate won’t remain that successful. It will therefore become more important for SMS marketers to determine which campaigns have a higher open rate, as this will determine how you utilise SMS marketing in future. NFC (near-field communications) technology already exists. It gives shoppers the convenience of purchasing goods by swiping a QR code or coupon on their mobile phones. As this technology improves, it will become more commonplace in retail outlets and restaurants. NFC then becomes a prime campaign for SMS marketers to exploit. 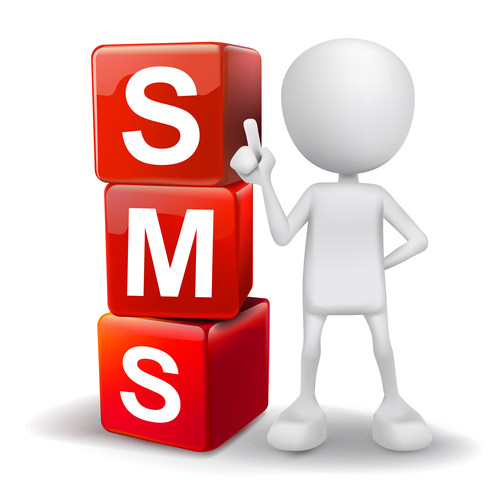 SMS marketing is a powerful tool and the best time to take advantage of the emerging advertising channel is now. And getting started with SMS marketing could not be easier. All you need to do is partner with a bulk SMS messaging service that can help you grow a customer database and drive sales through mobile marketing technologies. SMS messaging services will help you set up the system, explain the rules and regulations of mobile marketing and offer advice about starting your first ad campaign. Once you unleash the power of SMS marketing, you can look forward to increasing sales revenue long into the future.